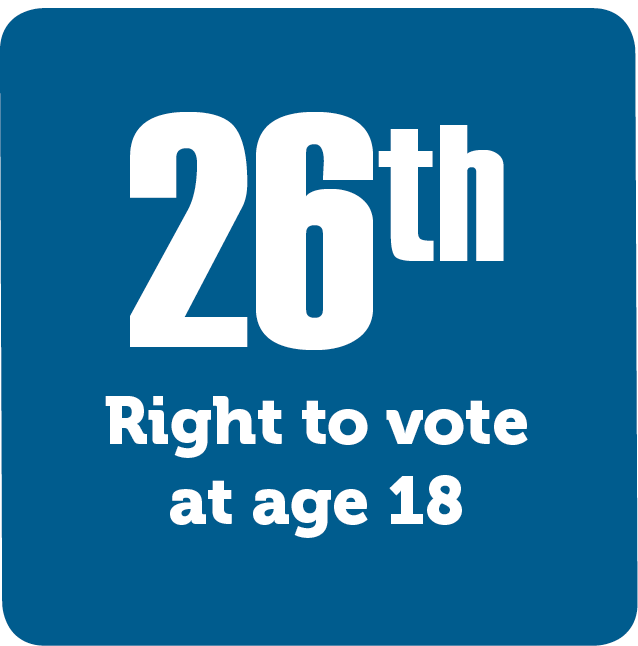 The Twenty-Sixth Amendment lowered the voting age from twenty-one to eighteen. Some states allowed 18-year-olds to vote as early as World War II when the draft age was lowered to eighteen. But it wasn’t until the Vietnam War that a constitutional amendment gained nationwide support. In 1971, the Twenty-Sixth Amendment ensured that the soldiers who were drafted to fight would also be able to vote.